A kitchen is a jubilant gathering place to be in. It is where people convene to share their thoughts, point out their views, discuss issues and convey even their dreams and hopes along side with the colorful dishes that are prepared. A corner in the house where the food contributes to the embodiment of beautiful traditions and memories. This article offers your inner chef the opportunity to look into kitchen styles that one can copy and create in their own homes. 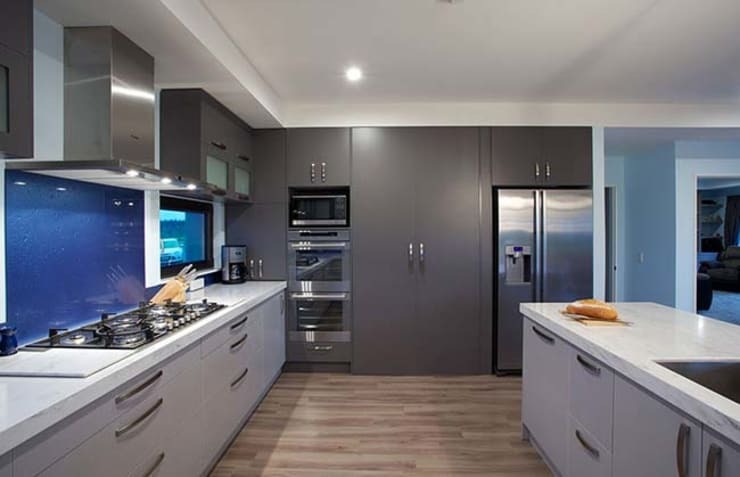 If the home space reserved for your kitchen is small, the kitchenette design, which is one of the alternative kitchen designs, is for you. 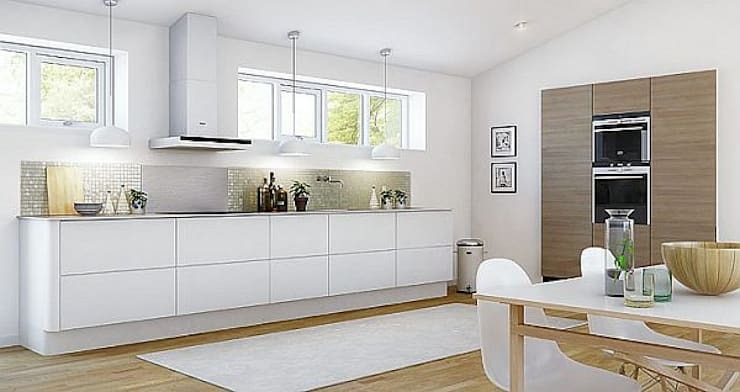 This kitchen is ideal for a family, and although it is small, the simple decors in the clean space offer you the opportunity to have an aesthetic kitchen. A spacious kitchen is not only achieved through making an area. It can be achieved with careful planning of the fixtures and other items we consider to put in. 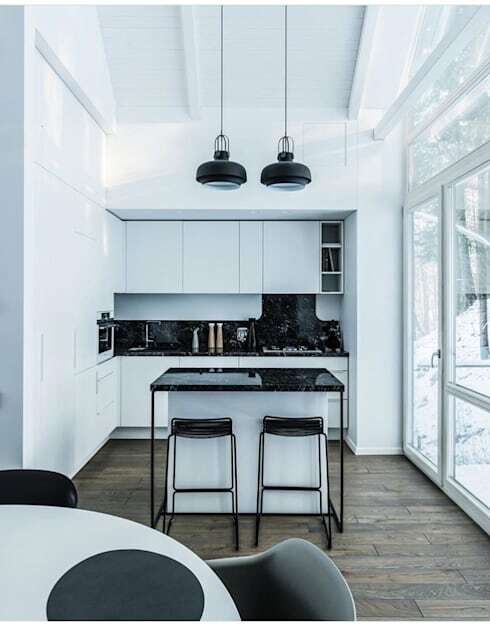 Cabinets on the floor are ideal to keep it neat while the hanging ones situated in the area where it doesn't obstruct the light is a requisite. This gives it an easy flow of the natural light from the outside. 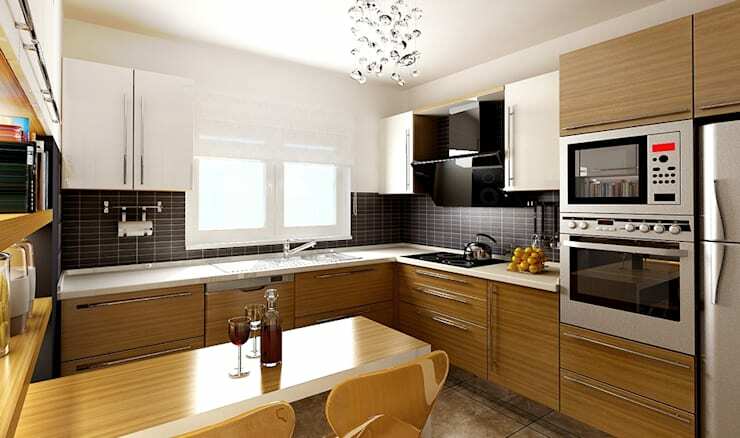 It is very important that the kitchens are as functional as the decoration. This company, which comes to the forefront with its functional kitchen designs, has many schemes that amplify the use of certain structures and spaces. The built-in designs for the oven and refrigerator makes working more facile. The smallest space in the kitchen has not been left empty and the kitchen has become functional with its meticulous layout. 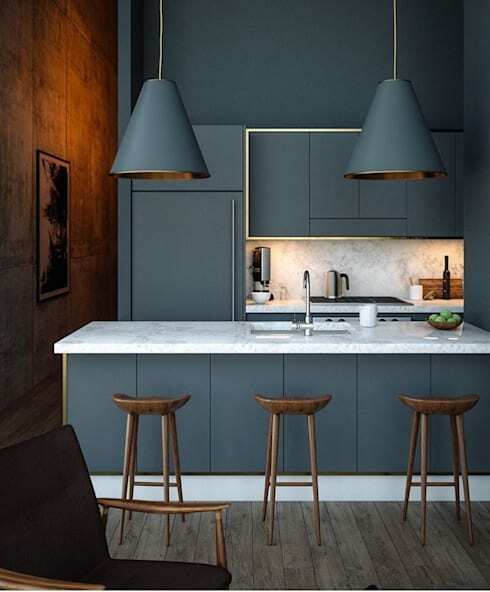 With this design, it has been shown that a kitchen, no matter its space, can be fully functional in every sense, and it can be as elegant and aesthetically perfect with due consideration to the color choices and wall designs. 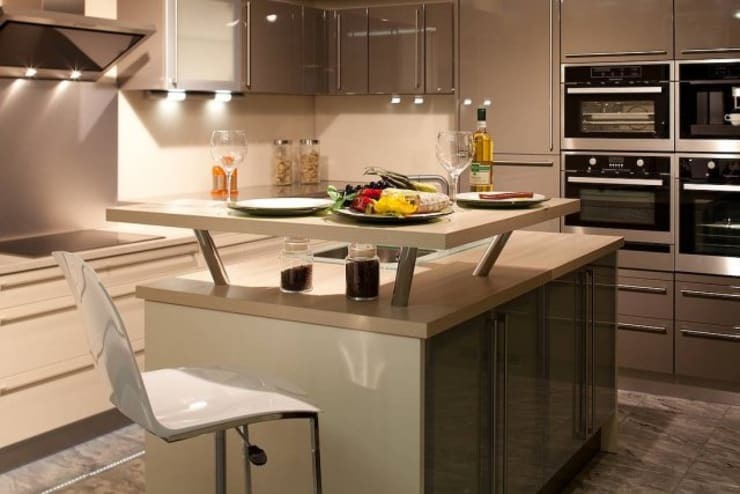 Built-in designs in the kitchen make it a more workable place. The table with its built-in cabinets increases space and gives more emphasis on the contrasting floor design to its walls, making all other things appear to be in harmony with the rest of the elements in the space. 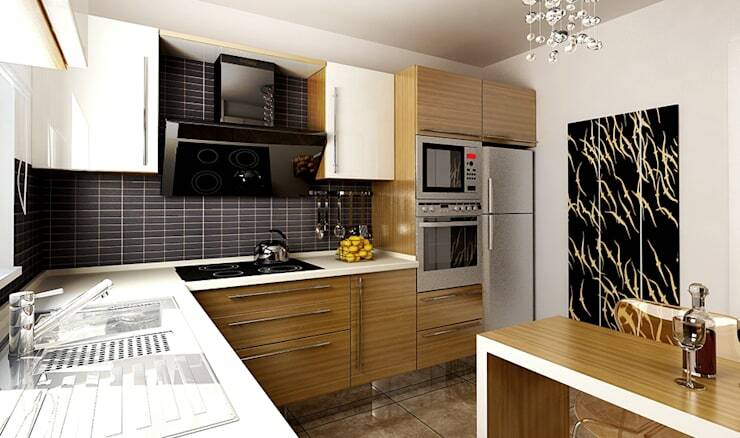 Showcasing each element in the kitchen is possible with these designs. As functional kitchens make life easier, the company that made this sample design always has in mind the front plan of functionality. The design as you can see makes use of the kitchen island both as a kitchen island, a dining table, as well as a virtual boundary for a kitchen, shooting three birds with one stone. The company, which does not compromise aesthetics and service components, reveals a perfect kitchen design. 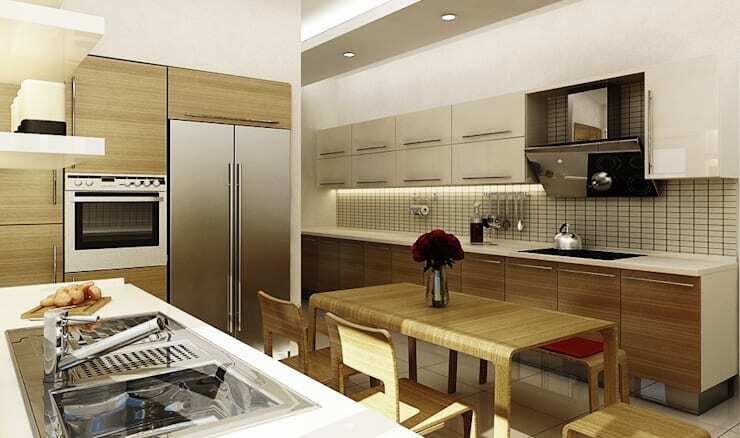 For functional kitchen designs promote maximum efficiency. While we look into functionality as a requirement, variations may give it a different look and allows other functions to be possible. The elevation on the kitchen island structure does not only give it a pleasing peculiar look but it also gave more space for other items that are used in the course of any preparations. 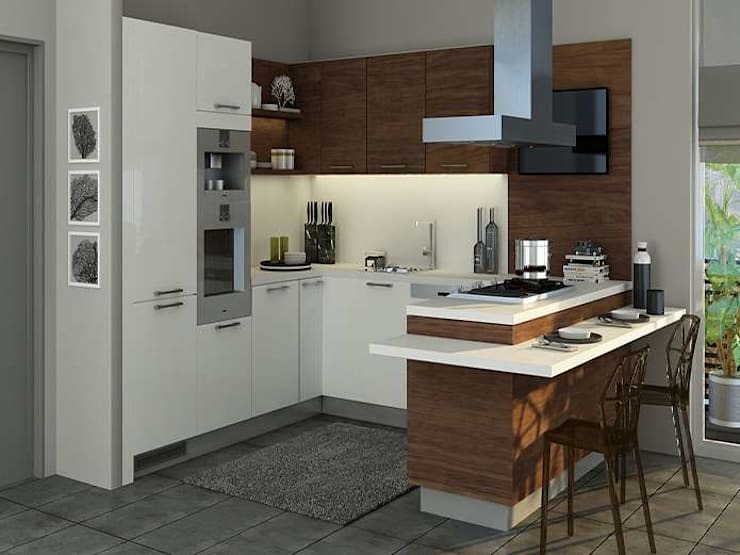 The company, which also catered attention with its bright kitchen designs, has used the white colors intensively and has spent many times using this sample kitchen design and the like. Mainly, to provide natural light with its special window giving it a dainty look of a special kitchen that everybody wants to have. Maximizing efficiency is tantamount to maximizing space. Efficiency is directly proportional to space. Corners like this one add to the solution of having to leave non-functional areas to be utilized. So whenever you plan the kitchen layout, always consider the locations of the corners. As Chef Gordon would always say, We eat with our eyes. But it would be quite odd for one to savor dishes not noticing the inviting colors of the meal course even when your sense of smell allows you to do so. This design allows all light source to penetrate the inner space which is supplementary to the color choice within the room. Beautiful kitchens are fine! But the ones which are a blend of aesthetics, functionality and a setting that brings everyone to reminiscing in their lifetime is exceptionally impressive!